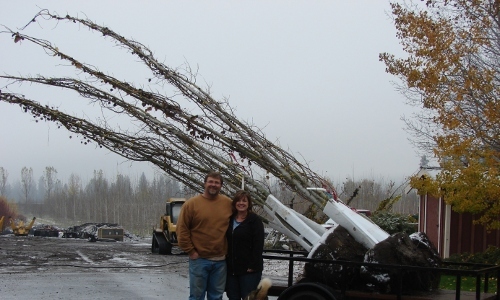 At Daniels Nursery, we grow deciduous trees for the wholesale landscape market. Please call for an appointment. Individuals can purchase large caliper, shade, ornamental and native trees. 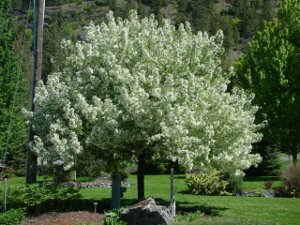 Ornamental trees, 8’-12’ tall, have spring POP with their fragrant flowers and following berries for the birds. Available in green or burgundy leaf varieties. Shade trees mature between 40’-60’ tall, provide dense foliage, and offer great summer comfort. Looking for some northeastern fall color? 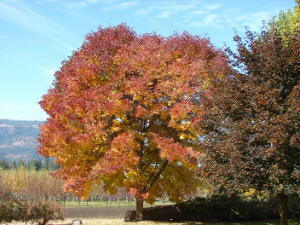 We don’t grow sugar maples, so try our Fraxinus (ash) varieties. Fraxinus carry no berries and turn a multitude of blended colors as well as spectacular orange-red, orange-yellow and brilliant daffodil yellow in the fall to enhance your autumn enjoyment. Let our staff know your location, soil type, wind conditions, watering plan and the effect you desire from your planting and we will help you select just the right trees for your haven. Retail by Appointment Hours are 9:00am — 12noon. Private showings by special arrangement or telephone sales are available. Retail sales are always by appointment only due to limited staffing. Our trees are 8’-20’ tall wrapped in balled and burlap root packages, weighing from 200 to 1,000 pounds. We also have specialty hand-dug trees weighing approximately 70 pounds in limited varieties. 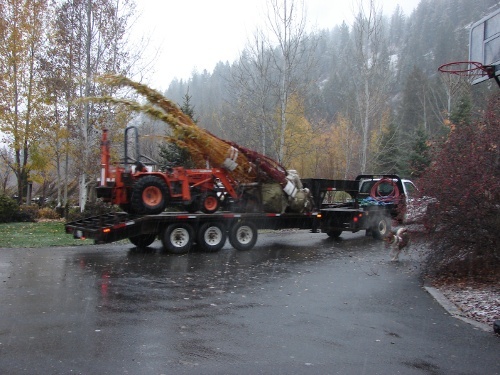 Haul your trees home in short-bed or standard sized pickups, on trailers, flatbeds or, hire our efficient landscape crew to plant for you.